BAC Funding Corporation is commited to the creation and longrange development of a successful enterpreneur and business class in south florida. BAC has been a community advocate donating over $75,000 to various local charities, not for profit organization and civic groups. BAC Funding Corporation and Affiliates extends commercial credit to African-American owned businesses in the form of asset-based revolving credit lines and joint venture agreements. BAC’s traditional loan programs include a variety of asset-based lending products, including accounts receivable and contract financing. BAC serves as the intermediary in providing accounting, legal, cash flow management, management information systems, and strategic planning services. Franchisee financing enable individuals with 4 years of experience the opportunity to engage in new business ventures in low-income communities. BAC Funding Corporation is commited to the creation and longrange development of a successful enterpreneur and business class in south florida to include Miami-Dade,Broward, and Palm Beach Counties.By working toward this goal we create an economic balance that prepetuates wealth for all of South Florida.In particular,we will provide investment capital for the specific purpose of benifiting low-income persons and low-income communities of South Florida. BAC is responsible for developing and managing a five (5) story 200,000 Sq Ft professional office building and three (3) story garage complex located at the Martin Luther King, Jr. Transit Station at a cost of $33.5 million. 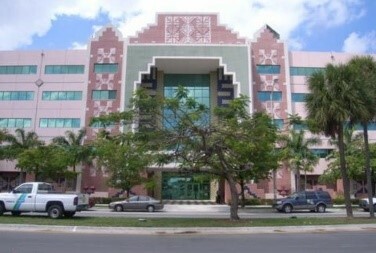 The building is mainly occupied by Miami-Dade County Departments. The project allows BAC to continue its self-sufficiency and independence, which are the cornerstones of the institution’s mission for itself and the African-American business community. 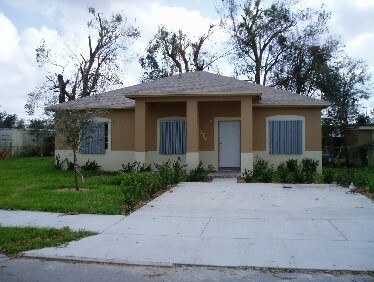 In an effort to further promote affordable housing & rental for all of South Florida’s residents, BAC has financed, developed, purchased and managed residential real estate for families throughout Miami-Dade County. BAC manages a five (5) acre office, warehouse and incubator complex offered to small business enterprises. 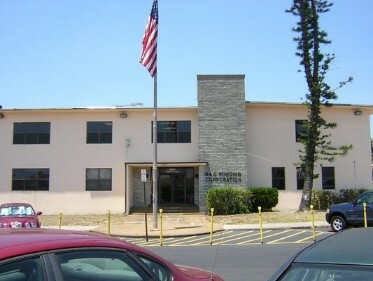 The complex is comprised of fifty-three (53) office units which support a variety of established business enterprises, twenty-one (21) incubator spaces capable of supporting start-ups, newly established businesses or satellite offices in northwest Miami-Dade County and eight (8) warehouse units. BAC Funding Corporation and Affiliates (“BAC”) provides economic stimulus to African-American owned businesses with a creative approach to financial solutions. Investment capital provided allows the African American business community to target economic development and business opportunities in the growth sectors of the South Florida economy for economic development to perpetuate wealth for all of South Florida. Formed in 1982 as a 501(c)(3) Florida Nonprofit Community Development Corporation, BAC Funding Corporation (F/K/A Business Assistance Center, Inc.) and its affiliated corporations (collectively the “BAC”) are outgrowths of the Business Revitalization Action Committee of the Greater Miami Chamber of Commerce (“GMCC”), the State of Florida Governor’s Revitalization Board of Miami-Dade County and the Miami-Dade Chamber of Commerce (“MDCC”).